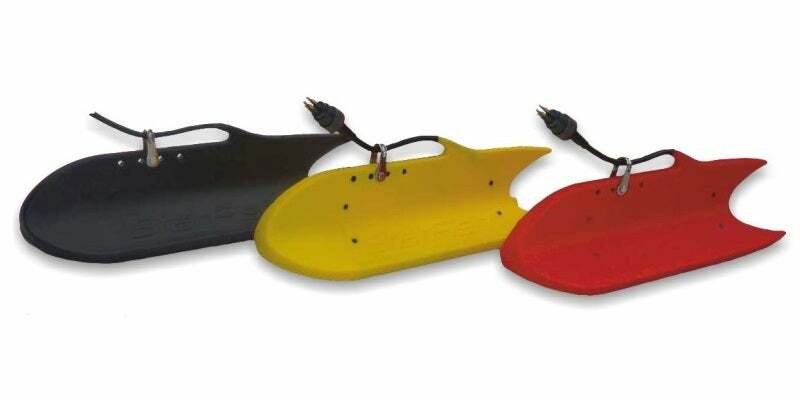 Blueprint’s StarFish systems are a range of innovative side-scanning sonar units that combine the latest acoustic technology and signal processing techniques to bring you a high-quality underwater imaging solution at an economical price. All the systems have been specifically designed for single-person deployment and shallow water survey in water depths up to 30m / 100ft, making them ideal for port and harbour survey and security work, inland water survey of rivers / canals / lakes, wreck location and Search and Recovery (SAR) missions. StarFish towed systems are extremely portable, with each sonar less than 15in long. This enables them to be easily shared between groups of users or vessels when required, and excel in remote shallow water locations where other side scan systems struggle to perform. StarFish systems have been designed to be ‘plug and play’, connecting to your PC / laptop via a top-box with USB connection. The top-box allows the sonar to be powered from both AC (i.e. mains supply) or DC (i.e. battery, generator) sources and multiple adaptor cables are supplied with every system, making it straightforward to power the StarFish system from your existing power source. The intuitive StarFish Scanline software, designed for Windows operating systems, has an easy-to-use interface. With helpful Wizards to get you started, you’ll be up and running in no time. An overview of Blueprint's Starfish line of side-scanning sonar systems.